EAW048657 ENGLAND (1953). 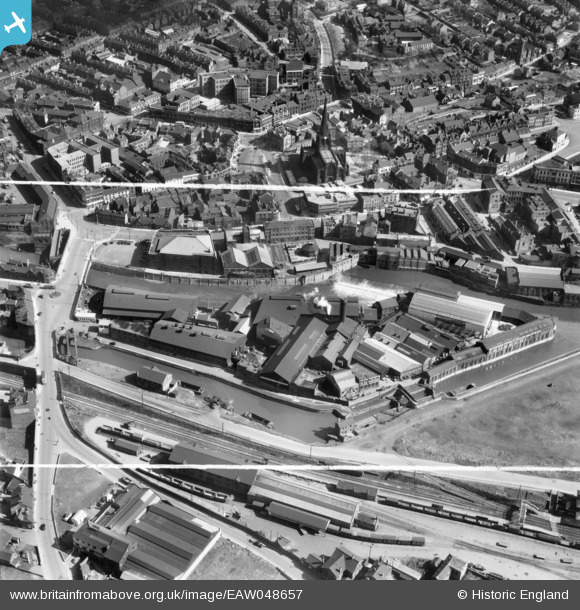 The Rotherham Forge & Rolling Mills Co Ltd Works on Forge Lane and environs, Rotherham, 1953. This image was marked by Aerofilms Ltd for photo editing. Pennawd [EAW048657] The Rotherham Forge & Rolling Mills Co Ltd Works on Forge Lane and environs, Rotherham, 1953. This image was marked by Aerofilms Ltd for photo editing. One of Rotherhams single decker trolleybuses.